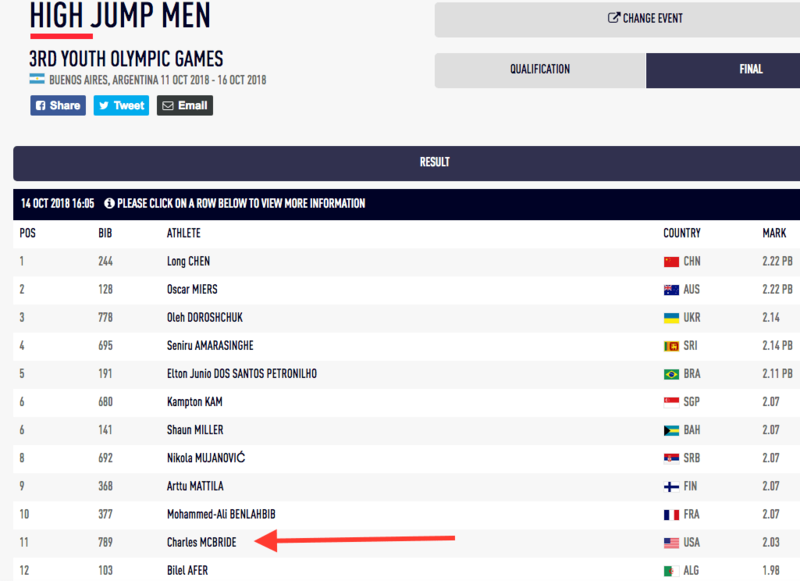 Congratulations to Charles “Omar” McBride on his impressive 9th place finish in the Men’s High Jump at the International Association of Athletics Federations 3rd Youth Olympic Games on Oct. 11 in Buenos Aires, Argentina! 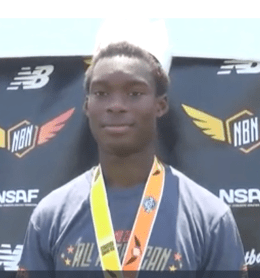 Omar was the highest scoring American athlete in this event with a mark of 2.03. We are proud to call you ours, Omar!